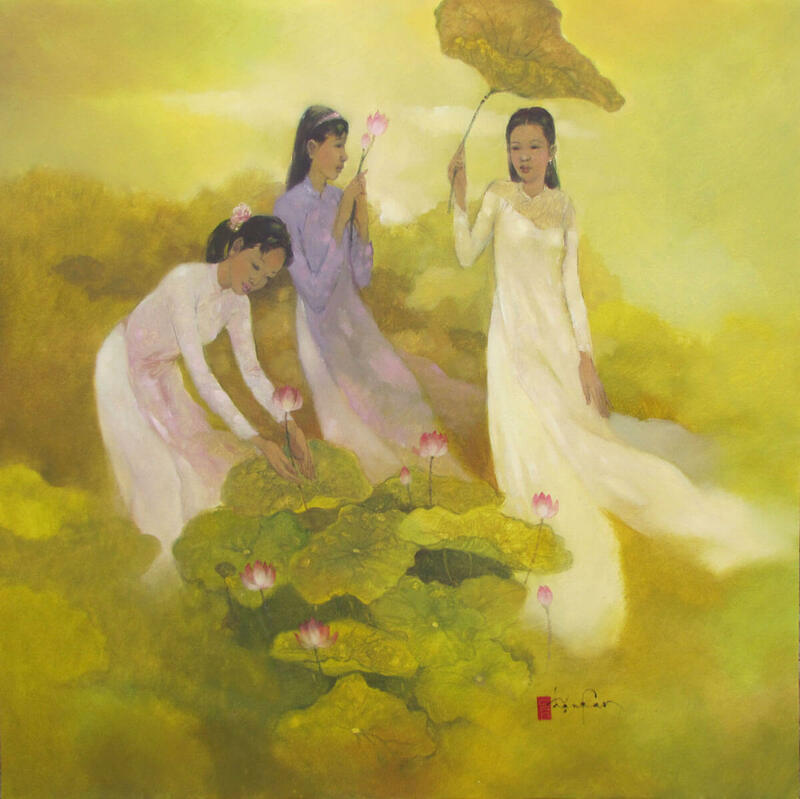 The three Graces or Charities, known as Greek goddesses of charm, beauty, and creativity, was a popular subject in Western art. 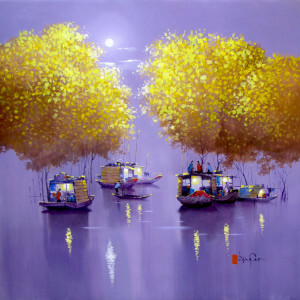 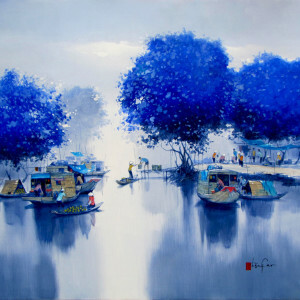 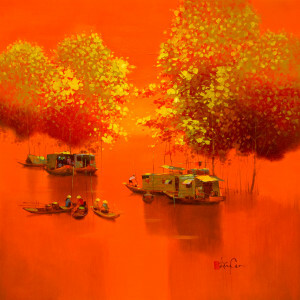 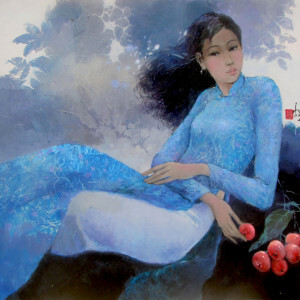 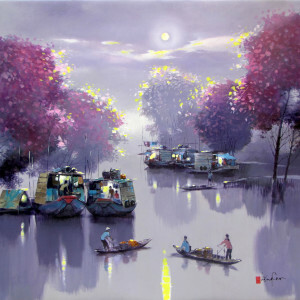 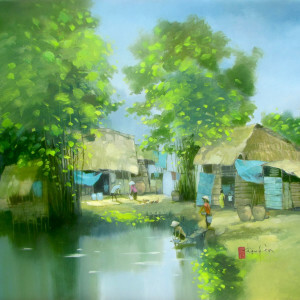 Dang Can applies it in the field of contemporary Asian painting, turning the Charities into three young Asian ladies in traditional Vietnamese outfits, AoDais, picking lotuses. 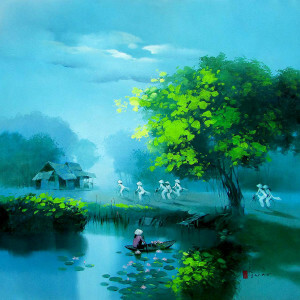 A calm and peaceful composition by the maestro.